Fitness Wall Sticker. If you love the mixed martial art of karate, decorate your office, home or business with this wall decoration. 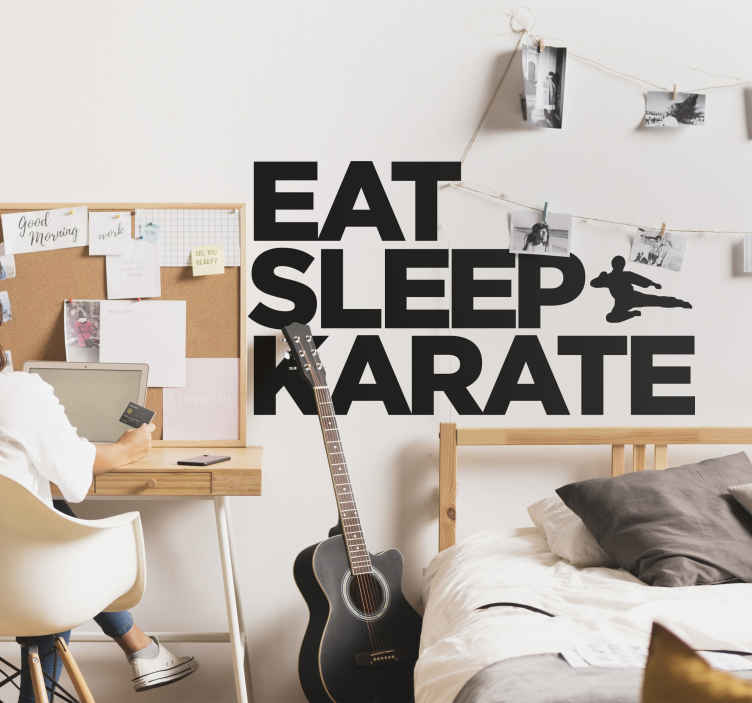 The wall sticker consists of the text "Eat, Sleep, Karate" with a silhouette figure carrying out a flying kick. If you teach karate to others, this would be a perfect sticker to decorate your dojo. This sticker is available in a variety of sizes and colours.